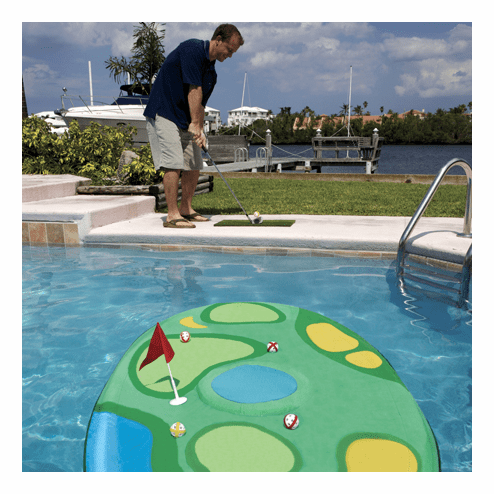 Portable floating practice golf target for the avid golfer. Practice your aim by the swimming pool. Opens and closes with a flip of the wrist.